In fact, these Hybrid Multi-Tasking machines are well suited for small lot production of very difficult-to-cut materials such as Inconel® 718 and 316 stainless steel. 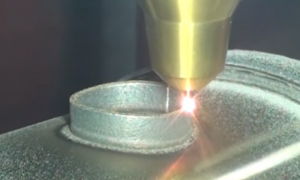 The additive capabilities of these machines allow users to easily generate near-net-shape component features and then quickly complete them via high-precision finish machining operations. And like all of our Multi-Tasking solutions, INTEGREX i-AM machines significantly reduce setup time by performing most or all of a part’s machining in one cycle. Featuring milling and turning spindles as well as full 5-axis capabilities, users can easily process prismatic parts from solid billets or castings (chucked or bar fed), round parts, highly contoured parts and now those features built using additive technology. 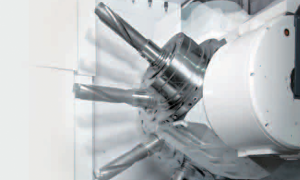 Revolutionary Technology now provides capabilities beyond any traditional machining center. 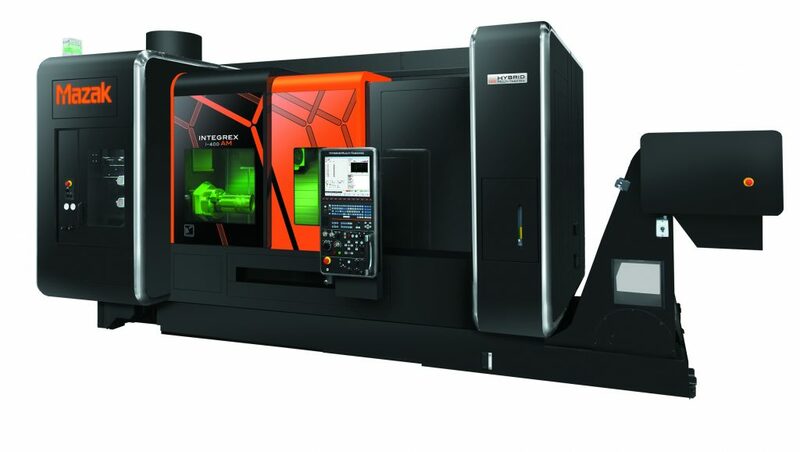 perfect for small lot production of very difficult-to-cut materials, this hybrid Multi-Tasking machine uses its additive (3D Printing) capabilities to easily generate near-net-shape component features and then completes them via high-precision finish machining operations in rapid completion. If necessary, the machine can also laser mark parts. Easily repair old, worn, used parts with unprecedented flexibility, or add features to a workpiece outside of the original billet with Mazak’s DONE IN ONE® part processing. 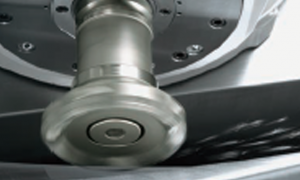 Thanks to the integral spindle / motor design, vibration is minimized during high-speed operation to ensure exceptional surface finishes and maximum tool life. For high-accuracy machining, temperature controlled cooling oil is circulated around the spindle bearings and headstock to minimize any thermal change to the spindle.